I have another great giveaway for you! My awesome sponsor Lovemarks has so many feminine and trendy pieces, and has become of my favorite young contemporary labels. 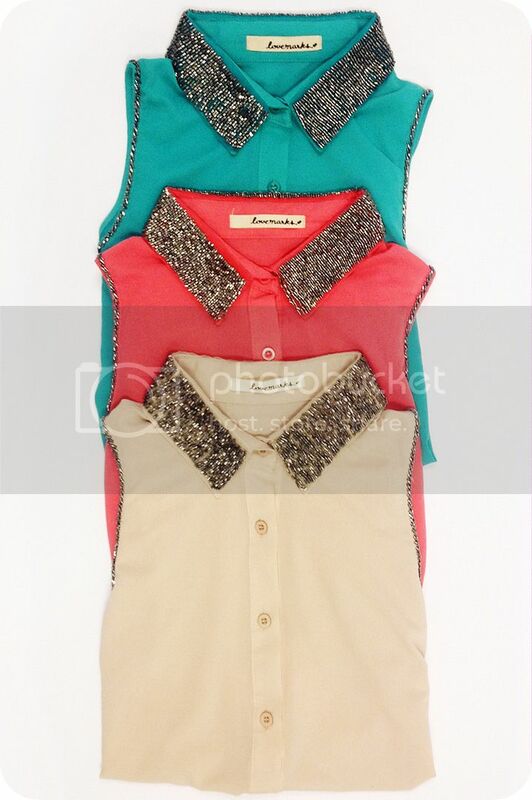 They sent me this beaded collar top (I chose the emerald one) and are even giving one of you the chance to win one too, in any color you choose! 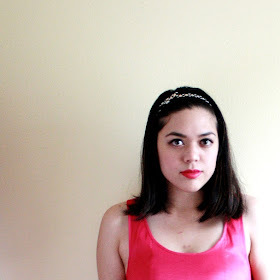 See how I styled it in my next outfit post. 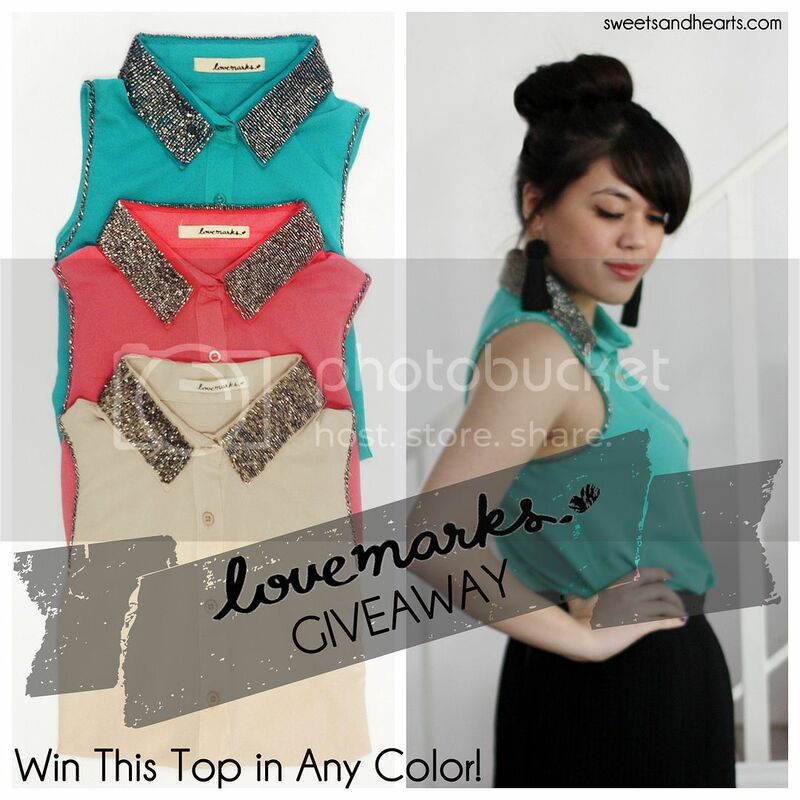 One (1) lucky winner will receive the Lovemarks sleeveless chiffon beaded collar blouse (pictured above) in the color of their choice: cream, coral, or emerald. Retail value $59 USD. Enter via the Rafllecopter widget below. - 'Like' Lovemarks on Facebook. Giveaway is open to U.S. and Canada. Winner will be chosen at random, notified by e-mail, and announced in this post. Entries that don't meet the requirements/follow directions will be disqualified.